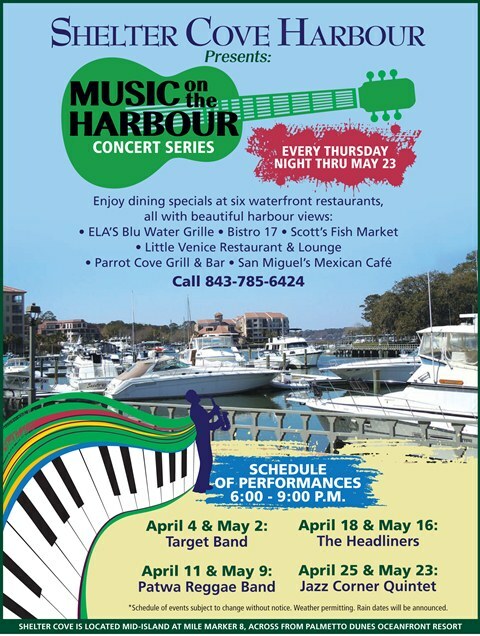 Music on the Harbour will feature live bands that will perform every Thursday evening at Shelter Cove Harbour throughout April and May by the 12 foot tall King Neptune Statue. The many restaurants in the Harbour will also be offering drink specials during the performances. Shelter Cove offers year-round waterfront dining, shopping and entertainment, plus spectacular views of Broad Creek! The Sandbox-An Interactive Childrens Museum — Hilton Head Island Seafood Fest!